Gordias (Savage) is an issue due to the fact that this is the same item level as that of the upgraded Esoterics weapon. 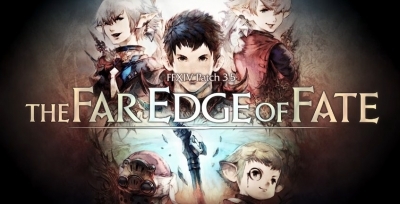 "The 3.2 live letter puts the game in a better state/direction than it was pre-live letter, but it's still far from good. In fact, the live letter reinforces the fact that the devs don't actually understand their own game/players, and don't, in fact, play their own game. Furthermore, we also understand that obtaining an item level 210 weapon for clearing the fourth area of the extremely difficult Alexander: Gordias (Savage) is an issue due to the fact that this is the same item level as that of the upgraded Esoterics weapon. Had Savage offered an item level 215 weapon, it would have given a clearer identity to those who cleared this content. It would also have made it possible to implement the Esoteric weapon upgrade and Anima weapons earlier, and in turn made those easier to obtain. Here we see them drawing an incorrect or incomplete conclusion about an issue. Weapon upgrades are on the last boss instead of the second boss we saw in Coil. All jewelery and other minor pieces are front-loaded with high-value pieces being in the tail end, where previous coil was mixed. Due to the difficulty, the time to loot ratio is REALLY bad. Diadem gear's (and by extension sometimes crafted gear) very high stat caps causing a lot of disparity between difficult to acquire raid gear and other sources. I find this most baffling because it's something they should have learned from XI...the XI team would have just released augments to the raid gear at the same time to increase it up to the same levels (which you could also do through Diadem to, once again, give raiders objectives). 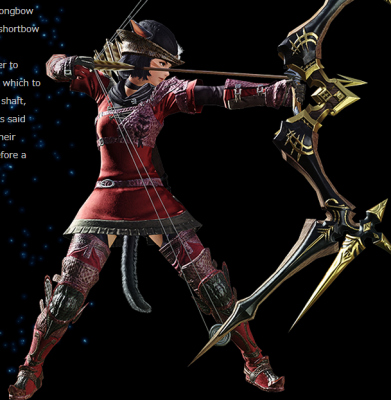 Considering Savage (and by extension relic, esoterics, and diadem gear) item levels the problem is wholly inaccurate. If anything, they MUST be the same/similar due to how tightly multiclassing is already restricted in this game by content lockouts. It is already incredibly difficult to gear alt classes to an acceptable-to-not-just-take-your-main-everywhere level, and further locking that behind raid only is a bad idea. They've been hellbent on killing off the more unusual/interesting aspect of their game, between gear availability issues, lockouts, and crafting specializations. They need to f---ing stop it. Reduce the content time, and turn it into content that does not rely greatly on player skill. We'll be introducing changes via maintenance in order to reduce the content time of exploratory missions and to make adjustments to the balance of item circulation, while making it into a place for collecting items and spirit bonding. The skill level is not a problem in Diadem. If anything, the skill level required is low. The issue here is REALLY bad design in putting gathering content in the same place/same queue/same parties as battle content. Also, it is once again a reward structure issue. No one wants to kill Braichiosaur because omg the meteors. Why? Because he drops the exact same loot as other monsters of his rank. This has been a recurring problem in XIV going all the way back to 2.0 (and maybe even further, but I lack 1.0 knowledge). When you're designing and testing content, it's fairly easy to know when something is faster/easier than something else. And it's fine/good that some things are easier than other things. But the rewards should be scaled appropriately. 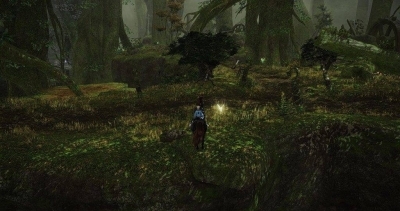 Just like when they made a big fuss about Brayflox HM farm for Animus. The problem is not the content or anything, it's that they can't be bothered to go "Okay, Lost City takes longer, so we'll add a few more tomestones and maybe an extra crafting drop to it". Making something that's already relatively trivial in the majority of it's combat areas even easier is just an incorrect conclusion. Furthermore, on the topic of spiritbonding, the spiritbond system has been a disaster since 2.0, and the community has been all sorts of vocal about it. They haven't fixed it. They don't plan to fix it. And when it comes down to it, spiritbonding, as it is, is a direct detriment to every party you're in. Will not be the strongest weapon at the same time as the rewards for clearing the hardest difficulty content. 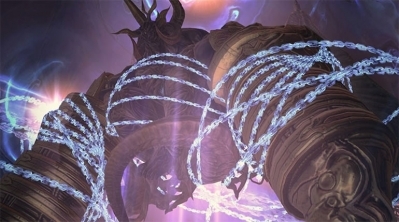 However, due to the fact that the item level for Alexander: Gordias (Savage) is 210, we were unable to make the current Anima weapons any higher than this, which resulted in concerns being raised about Esoteric weapons and the lifetime of weapons that are to be implemented in Patch 3.2. Furthermore, with the difficulty of Savage being very high, Anima weapons have become the sole option for obtaining item level 210 weapons for some, and we understand there is an issue with there being no other options. Firstly, the main problem here is that his first point regarding relic strength is DIRECTLY OPPOSITE to what he said like six months ago. He explicitly stated that BY DESIGN this set of relic weapons will always be more powerful than their raid versions equivalents, and always on odd patches to create a sort of ebb and flow and give raiders something to work on between tiers still. So imagine our surprise when they're f---ing not. The other thing here is a lack of acknowledgement over what, exactly, relics should be. They should be actual content...not repeating the content we've already done 1000 times, another 1000 times to carry noobs. Additionally, the increased time to complete (pushing closer to 200 hours, assuming you DF it, which you will have to do especially if you do more than one because farm parties are already dead) effectively removes relics as an alt-class weapon option, leaving only Thoridan weapons. Their concern over not releasing anima too early also shows a lack of caring about multiclassing. Furthermore, they're missing out on the biggest opportunity (and also issue) they have -- multiclassing, by it's very nature, encourages people to repeat content a LOT. This is also why, with what multiclassing we CAN do, we're EXTREMELY grumpy when relic comes along and makes us do the same content over and over AGAIN...because we've already repeated it extensively. The new crafted equipment we will be implementing in Patch 3.2 is strong. You’ll be able to use this new gear at the same time as the new accessories, and since you can also advanced materia meld this equipment, I think there will be a demand from those who are striving to complete the raid quickly. They've flip-flopped on this issue more than John Kerry on political issues. And for good reason -- because the design is s--t -- largely because the materia system is s--t, and needs a complete overhaul (again). Which, again, the community has been all sorts of vocal on since 2.0, and has gone completely unaddressed. Why do chest/leg pieces have higher stat caps but the same amount of materia slots? Why is materia so difficult to acquire because spiritbonding is a s--t system with s--t math backing it? Why are half your stats useless or near-useless? Why is materia completely ignored when level synced, instead of scaled? So on and so forth. TL;DR While the live letter info is an improvement over the state of the game mere hours ago, it's not enough. It still shows a large disconnect between the developers and the player-base." 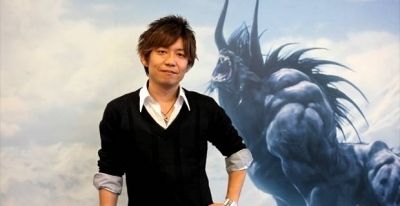 Final Fantasy XIV producer and director Naoki Yoshida had plenty of interesting stuff to talk about in a recent interview with Korean website Game Focus. 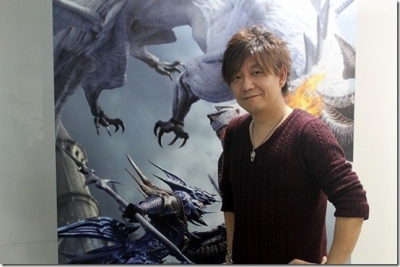 From his thoughts on the decline of the MMORPG genre to equipment that shows too much skin. Considering how toxic alot of people (myself included) have been due to the stresses of fights and stuff, thought itd be a little refreshing to shift gears a bit.